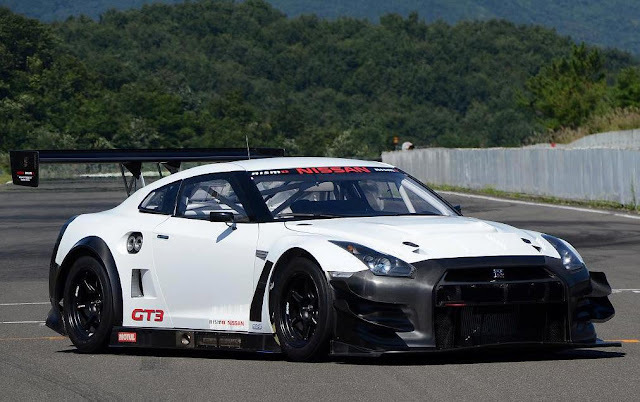 JRM who ran a LMP1 car last year, and Nissan GT-R's in GT1 in 2011, will be competing in the Blancpain Endurance series in 2013 with GT3 Nissan GT-R's according to Autosport.com. The report says they are building nine cars with two being fielded by JRM. Looking forward to seeing how it goes. There are a few GT3 cars that are going to be running in Europe, and a few in Japan. That should help overall development of the cars. JRM boss James Rumsey, whose team won the 2011 FIA GT1 World Championship with Nissan, said: "The Blancpain Endurance Series makes good business sense. We need to prove the capabilities of the car now that it has had a major upgrade and show that it is the most cost-effective GT3 car out there. "We have one clear aim: to ensure we have a competitive customer package that is continuously developed.